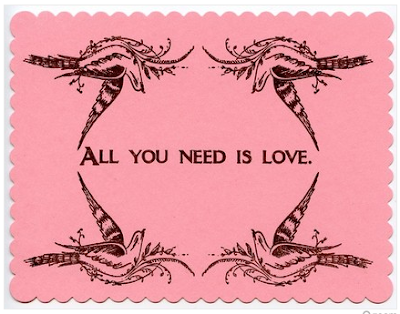 Today is Valentine's Day and we encourage you all to celebrate! Here are some of our latest creations that have been inspired by the holiday! 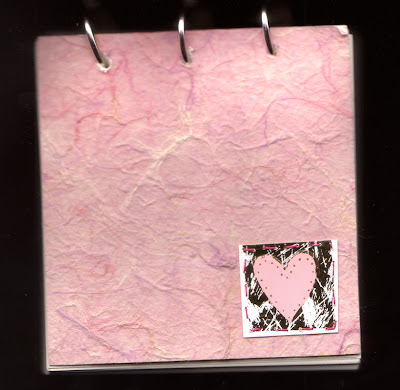 Jessica of Reclaimed To You has created a new blank journal for the occasion:"This pink journal is sweet for your sweetheart! It is made from all reclaimed paper and can be used as a place to hold your hopes, dreams, or shopping lists! Bound with metal rings this journal is durable and practical, while also being cure and environmentally friendly." Angela of Paper Menagerie makes lovely cards. Here is a special one for your sweetheart! 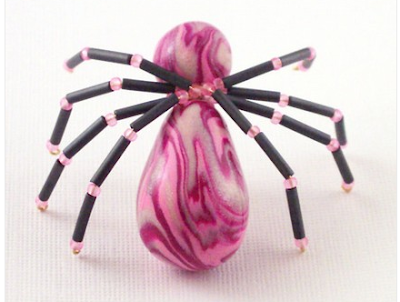 Liz of Lush Beads has created a unique and absolutely adorable series called "Spiders of Love". Day. It's quirky and eye-catching. I collaborated with a local Lowell artist (Made In Lowell) and asked her to do the polymer clay beads for me. Some are plain, and others have a slight heart shape to them." 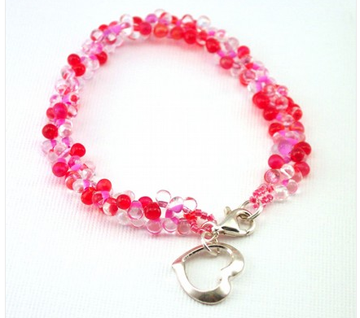 "I also did a bracelet called 'Beloved Girl', which is delicate and sweet and a perfect sweetheart gift"
Amy of Amy Olson Jewelry was inspired to make many pieces of jewelry for the holiday! 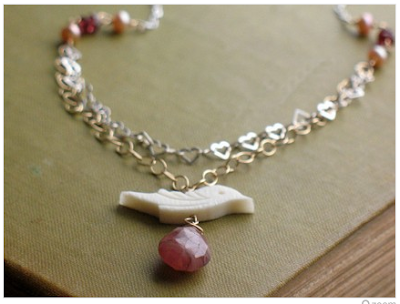 "The Perch Necklace is my favorite for Valentine's day. This simple piece consists of the sweetest little bird perched atop a gorgeous faceted rhodocrosite teardrop with a delicate heart chain swinging above."